A veteran in defending workplace and premises liability cases, Smith, Freed & Eberhard attorney, Gordon C. Klug, recently won an impressive summary judgment motion that dismissed a multi-million dollar lawsuit. He defeated a tried-and-true plaintiff’s attorney by pinpointing inconsistencies in the plaintiff’s story, all while facing last minute witness disclosures and a compressed court schedule. The plaintiff, after having already received workers’ compensation in the form of treatment and an award for permanent partial disability, filed suit alleging that his employer failed to provide a safe working environment. The plaintiff argued that in construction liability cases, the general contractors owes a non-delegable duty to ensure a safe working environment. After filing suit, plaintiff’s counsel initially argued to the court that his client was working as an “independent contractor” and not as an employee of Gordon’s client. With an eye toward summary judgment, Gordon, in response, presented to the Court the plaintiff’s complaint, his answers to interrogatories, his application for workers’ compensation benefits, and several dozen medical chart notes where the plaintiff repeatedly said he was working as an employee of Gordon’s client. After a series of court delays caused by case backlogs, a second round of oral arguments on Gordon’s motion did not occur until just two months before the scheduled trial date. At that point Plaintiff’s counsel disclosed 14 different expert reports, which bumped the plaintiff’s special damages from $53,000, at the time of the first oral argument on Gordon’s motion for summary judgment, to $2.5 million and several million dollars more for pain and suffering. In addition, plaintiff’s counsel changed tactics and began arguing that his client was an employee of one of the eleven other defendants the Court dismissed at the first round of summary judgment hearings. Gordon reminded the court of the plaintiff’s hypocrisy and argued that the plaintiff cannot claim to a State agency that he was an “employee” of Gordon’s client in order to secure workers’ compensation benefits and then, several months later, argue to the Court that he was not an employee of that same company in order to prosecute a lawsuit against them. Eventually the Court was persuaded that the plaintiff was not being honest and concluded that Gordon’s client did have immunity from suit pursuant to the Industrial Insurance Act. 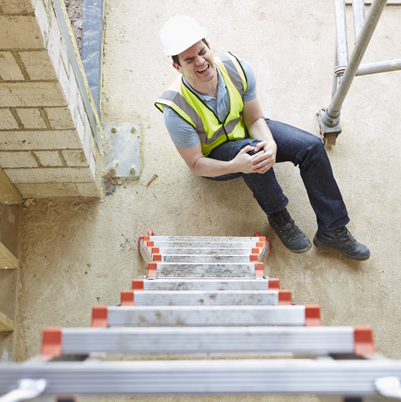 With premises liability cases, plaintiffs have an uphill battle when it comes to proving that they are not responsible for their own injuries. Seasoned counsel, in an attempt to increase the risks of litigation for the insurance carrier, will often employ the tactic of disclosing, at the very last minute, a number of expert reports which outline a significant amount of damages the plaintiff sustained “as a proximate result” of their workplace or premises accident. Even with a strong liability argument in defense, if the jury were persuaded that the defendant is even the smallest amount liable for an accident, it still could translate into a substantial jury verdict or settlement. In short, Plaintiff counsel’s strategy with these type of cases is to increase the risks of the insurance company making the “wrong” decision. Gordon’s strategy for handling files like this is all in the details: by identifying any inconsistency in the plaintiff’s case and then magnifying those inconsistencies for the Court and jury to see. In the end, the Court or finder of fact is persuaded by the plaintiff’s own inconsistent actions. In a case that, just 60 days before trial, had transitioned from a $53,000 “broken arm” case to a “head injury” lawsuit where treatment and lost wages were valued in excess of $2.5 million, a judgment against Gordon’s client could have pushed them into bankruptcy. In order to defend against these last minute claims, Gordon told his client that it would cost at least $75,000 in additional defense costs and expert fees to defend a substantially different case than one initially filed with the court. Securing a dismissal for his client on summary judgment was a huge success. It saved the adjuster tens of thousands of dollars in additional attorney fees and defense costs. As his client’s policy limit was only $1,000,000, Gordon’s great work in securing a summary judgment dismissal also prevented his client from filing for bankruptcy.